It's January, which clearly makes it sweater weather! I'm thrilled to say that sweaters are totally IN right now. 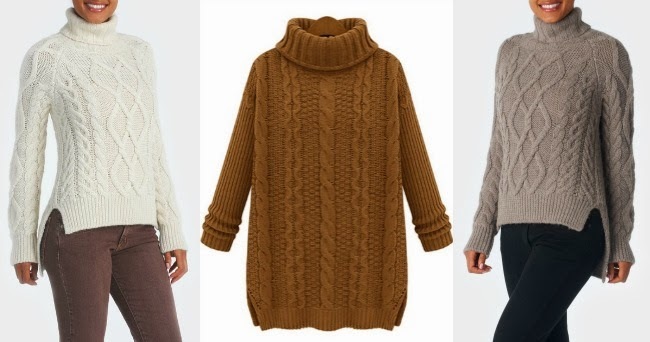 From cardigans to pullovers, round necks, cascading fronts...you name it. However, to keep the look fresh, make sure there are some great details. 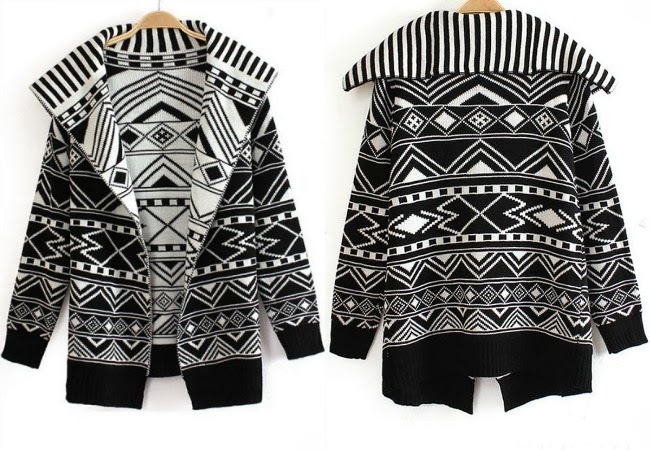 Oversize shawl collar cardigans, especially those with great prints like this one above. The chunkier the better! The above two are amazing pinterest finds, no idea where they're from, the below are from here. 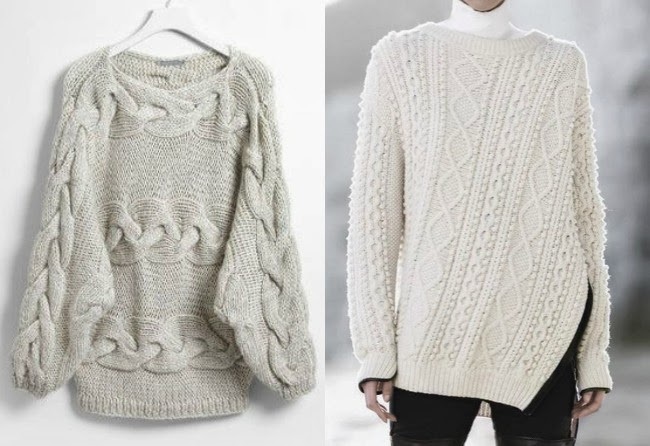 When wearing an oversize chunky knit, balance is important(!) so keep it slim on the bottom half. 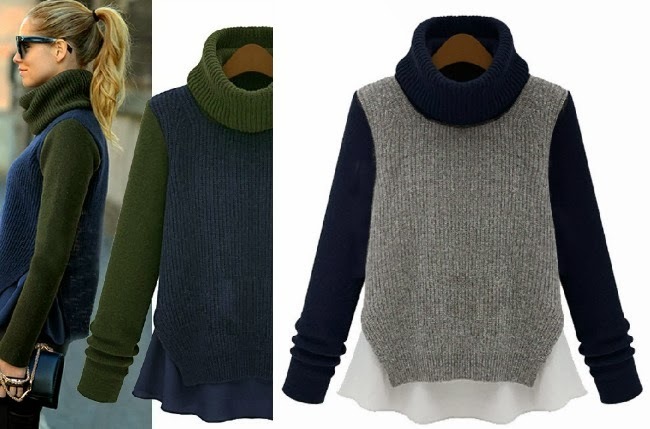 My favorite trend I'm seeing is the faux layered sweater. It's like there's this delicate blouse underneath (to also provide some tunic-y coverage), only it's built in so one less layer for you to worry about! My fave above. 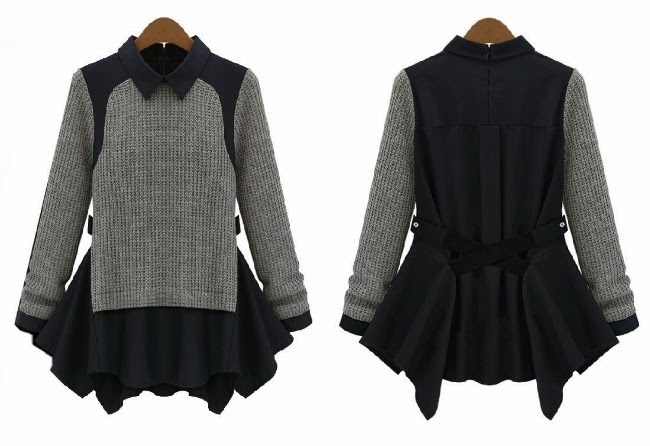 How cute is this one with the peplum & collar detail? Btw, it doesn't fit like a huge skirt under your sweater, it really lays pretty flat against the body. Don't think sweaters have to be super thick. 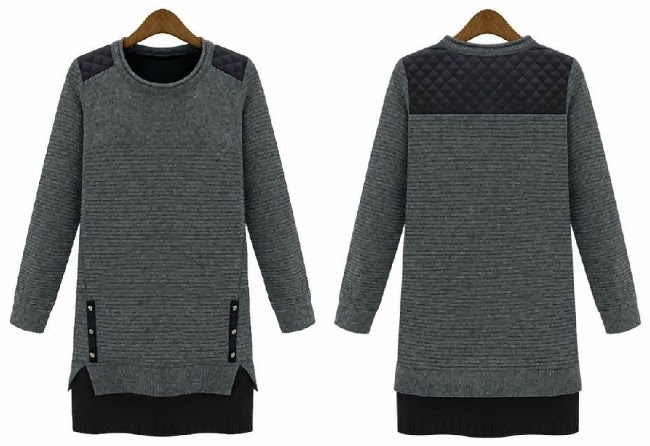 This long line sweater is a moto styled knit, but is on the thinner side so it doesn't add much bulk. This one has amazing detail. There is so much visual interest going not, I can't decide my favorite part. Also, it could easily be a tunic or a dress depending on how you styled it. lovelovelove. The easy drape of this wide shawl collar with ties to slim the waist. A great one to take you into spring. Of course, if you live in a climate that requires a coat, you'll need to wear a less bulky sweater. I love those not-so-wet winter days when I can layer up & use my sweater as my outer layer.